Al is a senior commercial contracts retained consultant solicitor in the specialist data protection and privacy law firm, Pritchetts Law LLP. He trained at top City law firm Freshfields Bruckhaus Deringer, going on to work at several well-known global and national firms (including five years as a partner successfully growing a new practice area). In 2016, Al joined one of his clients, a global advanced manufacturing and engineering group, as Head of Commercial. In 2018, Al opted for the freedom of consultancy roles (while still advising his former employers), bringing a pragmatic, commercial perspective to his legal work. As well as his previous role as Head of Commercial, Al has also gained useful in-house perspectives from secondments to the Ministry of Defence and MAMA Group (a subsidiary of HMV plc at the time). 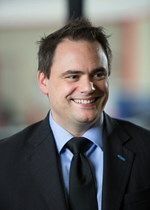 Al has successfully advised on contracts and projects with a combined value of more than £40 billion. His previous clients include Barclays Bank plc; the Ministry of Defence; Somerset County Council; Avon & Somerset Police Authority; the Nuclear Decommissioning Authority; the Department for Business, Innovation & Skills; UK Trade & Investment, Royal Devon & Exeter NHS Foundation Trust; Plymouth Community Healthcare CIC; Travis Perkins plc; Halfords; Serco Regional Services; national charity Family Action; Royal Armouries; Screwfix; Weston College; and the Heart of the South West local enterprise partnership. In addition, Al has written articles and legal resources for numerous sources, including the Procurement & Outsourcing Journal, Lexis-Nexis, Partnerships Bulletin and Nuclear Energy Insider. Al was also shortlisted for the Financial Times 2013/14 “Innovative Lawyer of the Year” award. He is a passionate believer in the power of collaboration, cutting through complexity and not letting the legal tail wag the commercial dog.